Europe’s leading knowledge & innovation hub pioneering the transition to climate-smart agriculture, forestry & food. On 3 November 2017, EIT Climate-KIC was proud to partner with YFood to launch a new award to celebrate and raise the profile of London innovators who are fundamentally driving positive change in the food ecosystem. 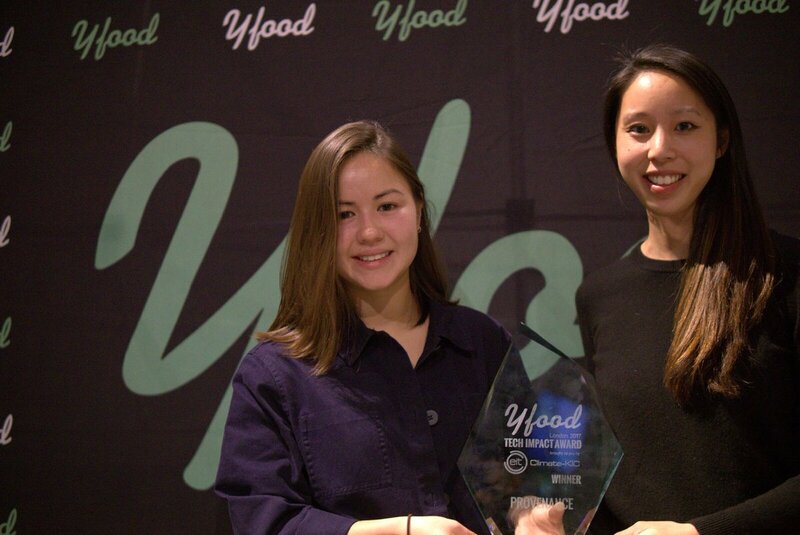 It sponsored the 2017 YFood Tech Impact Award as part of the Climate-KIC mission to bring together, inspire and empower a dynamic community to build a zero carbon economy and climate resilient society. Food Tech startups are tackling key city issues such as Food Waste, Reducing Carbon Footprint, Smart Food Cities, Urbanization and Food Security…all of which fundamentally impact climate change. 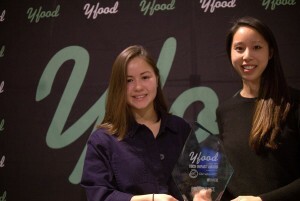 CSA Booster flagship manager and EIT Climate-KIC Deputy Director (Sustainable Land Use), Pan Pan, hands ProvenanceHQ’s founder Jessi Baker the YFood Tech Impact Award 2017 at a ceremony in London’s City Hall. ProvenanceHQ and its founder Jessi Baker use tech to power transparent businesses & traceable products and encourage consumers to look beyond the label. It receives £5,000 of cash awarded by EIT Climate-KIC via its Sustainable Land Use theme. EIT Climate-KIC is Europe’s largest public-private climate innovation partnership consisting of dynamic companies, the best academic institutions and the public sector. It is one of three Knowledge and Innovation Communities (KICs) created in 2010 by the European Institute of Innovation and Technology (EIT), an EU body, whose mission is to create sustainable growth including climate change mitigation and adaptation. EIT Climate-KIC supports innovation and entrepreneurship activities directed at creating economically viable products and services addressing climate change mitigation and adaptation.